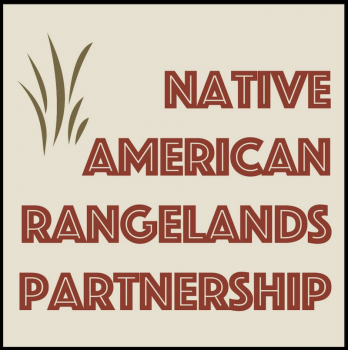 The Native American Rangeland Management Training Program is on a roll! The Society for Range Management is collaborating with tribal partners and federal agencies to implement a long-term initiative that addresses several critical disconnects that impact the sustainable management of tribal rangelands. Given the great diversity of Native American in the United States, the program is designed to adapt to the different ecological and cultural facets of those that contain rangelands in the western and central regions. We are in the middle of our first interactive online Introductory Rangeland and Soils Ecology course with 37 students representing 14 western Native American tribes; the class wraps up at the end of April. Our next course begins in June of 2019, and will be offered again this fall and winter, so it is going to be a busy year! The course was designed and is being taught by Yvette Gibson through Oregon State University’s PACE program and uses Canvas to facilitate interactive learning. For this session, we offered two simultaneous classes given that one tribal community has 15 students alone and also has the added benefit several instructors on the ground to assist with field activities. What’s different about these courses? Not only do they allow for discussions and interactions between natural resource tribal staff across the western U.S., but students are also assigned the task of creating their own cultural component for each module that can be archived for that tribe’s future training needs. In addition, the course offers different learning levels (basic and intermediate) given the different knowledge levels of tribal managers, technicians, and agency liaisons that are taking the class. Additional short courses will include topics such as grazing management, rangeland monitoring methods, restoration ecology, fire ecology, and more, depending on each tribe’s needs. Once the Spring course wraps up at the end of April, we will begin working with each tribe to coordinate their own advisory group that will assist with field workshops and long-term support. Advisory groups will consist of motivated tribal, agency, extension, and non-profit land managers that wish to partner and help strengthen tribal rangeland management programs, and who will be readily accessible to provide support when needed. The project is funded by the USDA Natural Resources Conservation Service and the US Forest Service, and further strengthened by the SRM’s partnership with the Intertribal Agriculture Council, the Native American Fish & Wildlife Society, the Intertribal Timber Council, the Bureau of Indian Affairs, and Animo Partnership in Natural Resources. Evaluation for an accredited online soil and rangeland ecology course for tribal students. For more information about this project or if you know of a tribe that is interested in enrolling, please contact Diana Doan-Crider (link diana@animopartnership.org).